Supreme Court Justice Ruth Bader Ginsburg is "up and working" in the hospital, her nephew said Thursday night, a day after the 85-five-year-old fractured three of her ribs in a fall. Speaking at the premiere of a film about Ginsberg, Daniel Stiepleman said the justice was in good spirits. "The last I heard she was up and working, of course, because what else would she be doing, and cracking jokes," Stiepleman said, according to Reuters. "I can't promise they were good jokes but they were jokes." 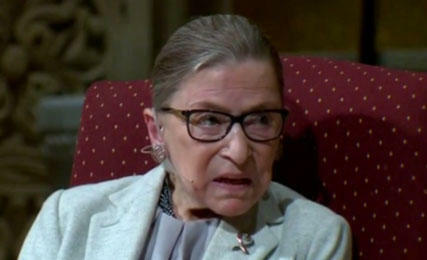 This type of injury tends to be painful because the ribs move with each breath, said CBS News chief medical correspondent Dr. Jon LaPook, who is not involved in Ginsburg's treatment. "Generally, it just really hurts," he said, but the injury "should get better, if there are no complications." One risk is that shallow breathing caused by pain can lead to the lungs not expanding to a normal extent, which can lead to pneumonia, LaPook said.